First, I want to tell you about a book. 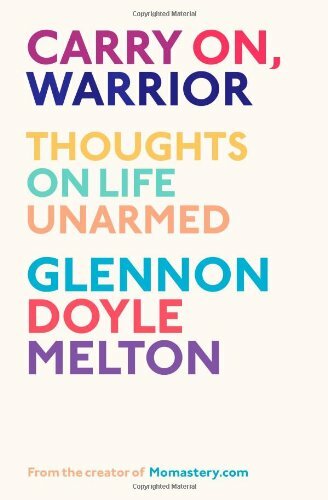 It’s written by my friend Glennon Melton, who blogs at the wildly-popular Momastery, and it’s called Carry On, Warrior: Thoughts on Life Unarmed. In other words, I liked it. A lot. So I recommend you check it out. I don’t know about you, but I can’t make heads or tails out of my faith until someone puts it into poetry. ...But not before checking out Carry On, Warrior.